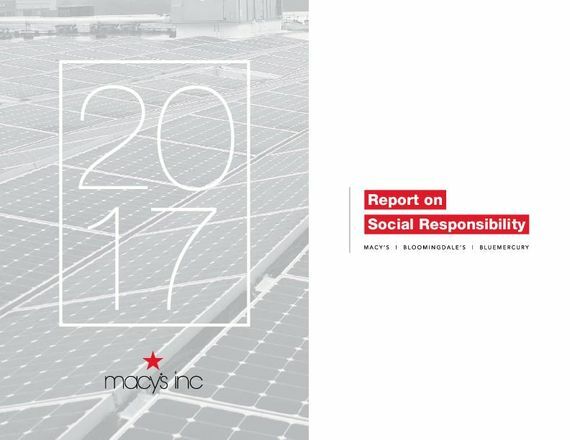 At Macy’s, Inc., diversity and inclusion is essential to our culture and core values. As one of the world’s leading retailers for fashion, beauty, and home, we recognize that we are strongest when we are representative of the many communities we serve. We believe that no one should be discriminated against because of their differences, including, but not limited to, age, ability, ethnicity, gender, gender identity and expression, religion or sexual orientation. Our commitment to diversity and inclusion is embedded in all areas of our business - from our colleagues, suppliers we do business with and community engagements to our customer experience and a marketing platform. Our differences and experiences drive our innovation, which is the source of our competitive edge and sustainability. Here at Macy’s we are proud of the organization we continue to build. Our diverse and inclusive culture is our guide and it drives our innovation and our commitment to win each and every day for our colleagues, our customers and our community. Jeff Gennette, Chairman & Chief Executive Officer, Macy’s, Inc.
At Macy’s, Inc., we encourage our colleagues to bring their whole selves to work by creating an inclusive work culture to support our company’s core values and to reflect our diverse customer base. We believe that our colleagues contribute individual strengths and their different perspectives are an asset to our company. We cater to a vast marketplace with diverse customers who expect the same diversity in our company. Female representation across the workforce at or above the manager level in Macy's, Inc.
Women comprise five of Macy’s, Inc.’s diverse 11-member board of directors, which includes two African-American directors and one Hispanic director. We’re committed to ensuring that every customer is treated with respect and has a warm and welcoming experience in all of our stores. Our Customer Bill of Rights reflects that, and we have processes in place to protect those rights while upholding the highest level of integrity within our stores. We recognize and value our diverse customer base, and we make an effort to reflect that diversity in our marketing. For example, we are increasingly using real women in our marketing materials and aim to show diversity across age, ethnicity and body types. We also strive to use marketing styles that are sensitive to individual attitudes and practices. Our commitment to diversity and inclusion is reflected in our sponsorship opportunities, volunteer activities and our selection of partners and longstanding relationships with a wide range of colleagues and organizations in the communities we serve. We believe bringing people together with a broad range of perspectives, ideas, and experiences leads to better products and services for Macy’s, Inc. and our customers. Our Supplier Diversity Program is designed to connect more minority, women, veteran, and LGBT-owned small businesses to opportunities within Macy’s, Inc., while helping them grow in retail. We don’t just strive for diversity and inclusiveness, but live it and breathe it in all aspects of our business. Embracing our differences in culture, race, religion, gender and gender identity, sexual orientation, and age and abilities, drives us to be a more dynamic retailer and sparks the creativity that makes us a leader. We know that our strength as a retailer, employer and community steward thrives when our organization respects and reflects the vast marketplace that we live and work in. Shawn Outler, EVP, Chief Diversity Officer, Macy’s, Inc.
Macy’s Employee Resource Groups (ERGs) empower a community whose collective voice fosters an inclusive company culture. Aligned with the strategic direction of the company, these employee-led, company-sponsored groups are committed to excellence in four core focus areas: professional development, giving back, colleague experience and driving business results. Macy’s has chapters of a wide variety of ERGs across the country that serve as the pulse of the organization. The Workshop at Macy’s is an exclusive retail-vendor development program designed to give select high potential minority- and women-owned businesses the tools to better succeed and sustain growth in the retail industry. The Workshop at Macy’s was launched in 2011 to foster growth in the next generation of minority- and women-owned merchandise suppliers. Conducted annually, this free program is a foundational element of our commitment to vendor diversity. With more than 111 vendors who have graduated from the program, The Workshop marked its eighth year in May 2018. The Workshop continues to create a viable pipeline of enterprises that will grow to become successful partners with Macy’s, Inc. and other retailers. 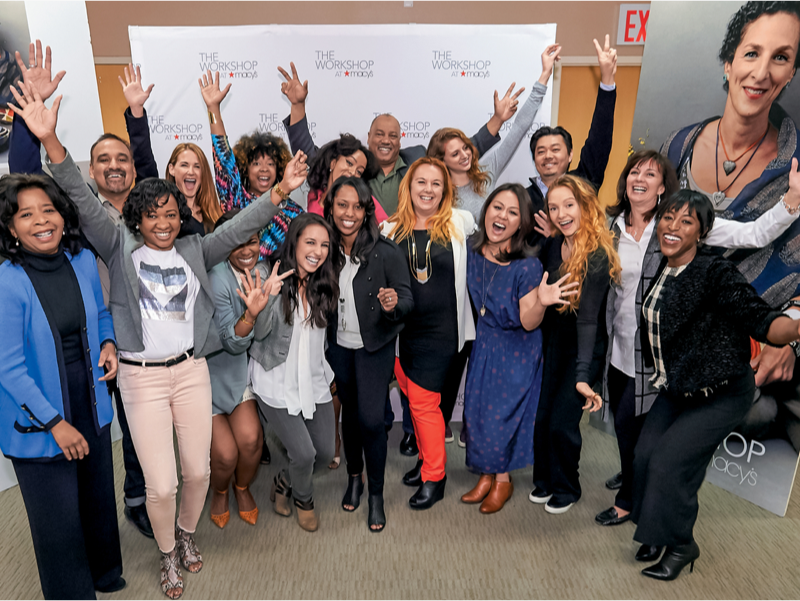 The Workshop participants, many of whom describe the experience as “life-changing,” have taken what they’ve learned and grown their businesses to new levels after taking part in The Workshop. Macy’s, Inc. has averaged $1 billion in minority-, women-, LGBT-, and veteran- owned business enterprises purchases over the last four years, including purchases from some of our Workshop at Macy’s graduates. Macy’s, Inc. actively partners with many non-profits, civic organizations and initiatives that aim to empower and inspire diverse groups in the areas of education, health and wellness, mentoring, and more for men and women of all ages, abilities and religions, as well as African-American, Hispanic, Asian and LGBTQ communities. As a proud supporter of The 100, both locally and nationally, Macy’s helps to provide scholarships, educational resources, economic empowerment, mentoring, and health and wellness initiatives, in addition to helping outfit the Jr. 100 Beautillion and supporting their awards gala. Macy’s has been a long-time partner and supporter of the Hispanic Federation. We look forward to welcoming the youth who participate in the Crear Futuros event in New York City, in addition to supporting other local and national initiatives. 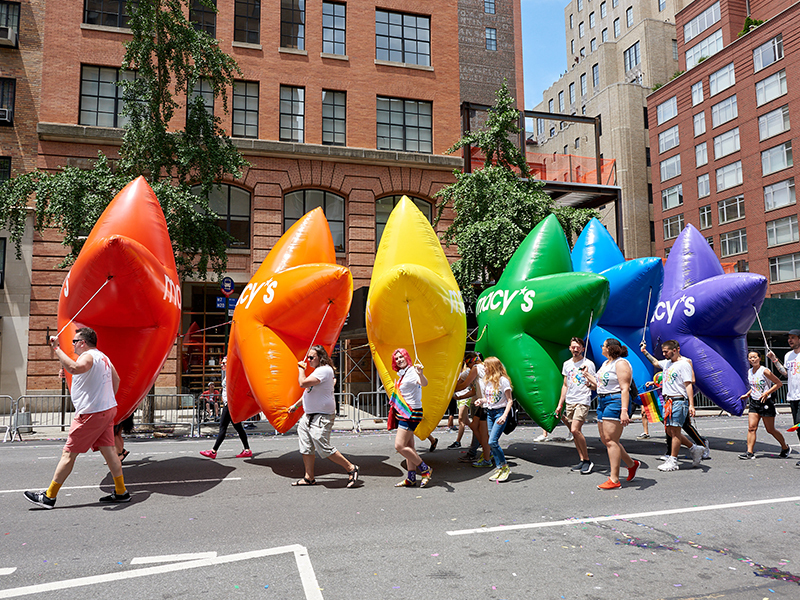 A longtime sponsor of the TrevorLive Gala NYC, Macy’s has also been proud to partner and provide volunteer efforts to the national 24-hour confidential hotline for LGBTQ youth to help raise awareness. Macy’s, Inc.’s support has impacted more than 1,000 young women from the New York City-area, as well as Starfish scholars from across the country. Macy’s has proudly sponsored AABDC and its Roundtable Summit, which is aimed at attracting outstanding “New Majority” (African-American, Hispanic and Asian) business executives, who come together to generate ideas and provide counsel on business and leadership issues of broad social and economic interest. Members of Open Style Lab join Macy’s colleagues to help collaborate and inform Macy's employees on how to think broadly and create truly inclusive store experiences when designing, marketing, and creating product displays.